On Sunday, May 14th we’ve got a Masterpiece presentation coming up that you won’t want to miss. it’s an adaptation of the 2016 Tony-nominated play, King Charles III; a fictional account of Prince Charles’ ascension to the throne following Queen Elizabeth II’s death. 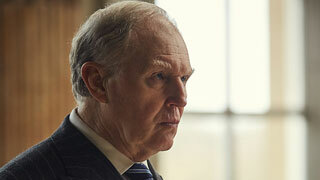 The role of King Charles in both the West End and the Broadway productions was played by Tim Pigott-Smith, who also stars in the Masterpiece adaptation of the play. Watching his performance though will be bittersweet, as the 70 year-old-actor died not long after the filming finished. The cause of death is yet to be released, but it came as a shock as at the time of his death, Pigott-Smith was in the final rehearsals for the play Death of a Salesman, where he was to star as Willy Loman. Pamela Miles, Pigott-Smith’s wife of 45 years, was to appear alongside him as Willy’s wife, Linda. Pigott-Smith is a familiar face to PBS viewers, having guest starred in numerous series such as Downton Abbey, Inspector Lewis, and The Bletchley Circle, for instance. The 6ft 1” actor will though probably be best remembered for his portrayal of the sinister police superintendent Ronald Merrick in the 1984 Masterpiece Theatre series, The Jewel in the Crown. In a sad coincidence, on the day Pigott-Smith died, so too did Christopher Morahan, the director of The Jewel In The Crown. 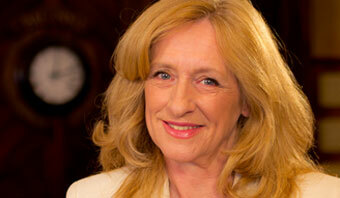 As well as Pamela, Pigott-Smith is also survived by their son Tom and two grandchildren. 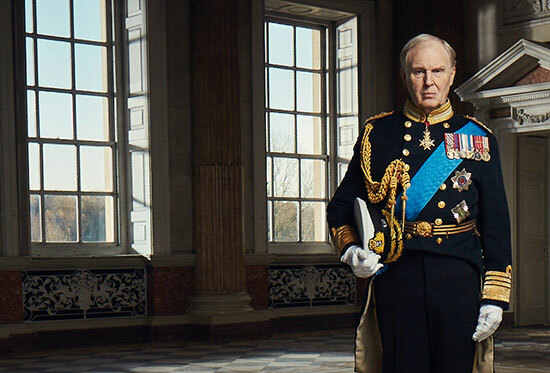 King Charles III, a two hour presentation, airs on Masterpiece, Sunday May 14th at 9pm.